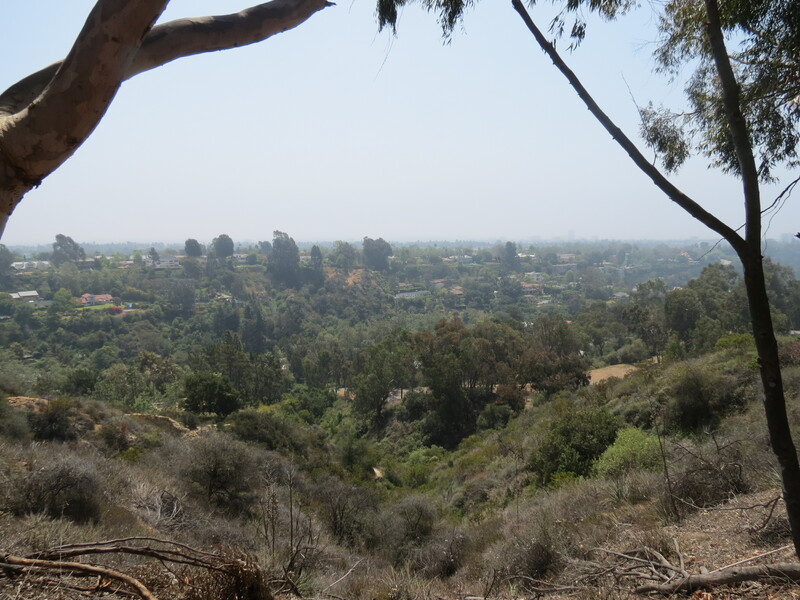 Rustic Canyon Loop - Will Rogers State Park - Beyond Limits on Foot! To get to the trailhead: Take Sunset Boulevard at the light turn north Will Rogers State Park Road. Drive about 3/4 of a mile up the mountainside to the park entrance. Pass the gate and drive straight pass the Will Rogers House at the end of the lot above the polo field. Trailhead address: 1501 Will Rogers State Park Road, Pacific Palisades, CA 90272. Good luck finding parking if you are not there early enough. The history: Nazi sympathizers Herr Schmidt, Winona and Norman Stephens, and their followers built a fortress in the Pacific Palisades in the 1930s. They planted gardens, constructed power buildings with a diesel generator capable of providing all the electricity they needed. Murphy Ranch was designed for fans of the Nazi regime waiting for America to fall to the Nazis, but U.S. authorities raided and closed it in 1941 after the bombing in Pearl Harbor. Today the grounds of Murphy Ranch are abandoned buildings covered in graffiti and left to the Los Angeles Department of Parks and Recreation for the public to explore. The hike itself is very easy and for an afternoon hike, picnic this would be perfect, but you do have to pay $12 fee to enter the park unless you park down the road and walk extra to get in. It was very crowded, but still a nice one to get in some mileage as we try to hit our 300 mile mark. Note to self: Bring more water and come earlier as to not catch the summer heat in the Santa Monica Mountains.